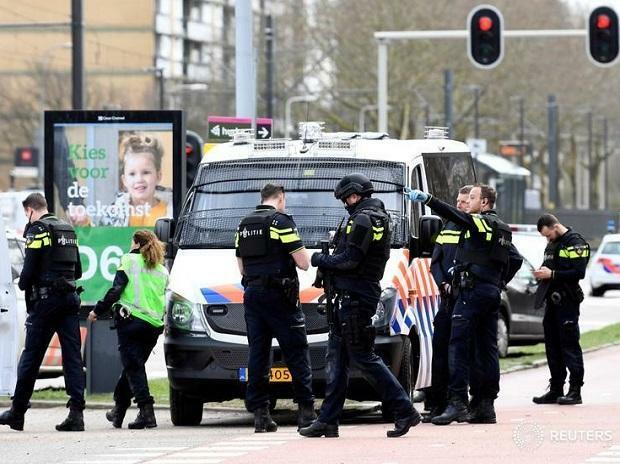 "Our nation was hit by an attack in Utrecht," Dutch Prime Minister Mark Rutte said. He said that "a terror motive is not excluded." Rutte said that, throughout the country, "there is a mix of disbelief and disgust." "If it is a terror attack then we have only one answer: our nation, democracy must be stronger that fanaticism and violence," he added. The Netherlands' anti-terror coordinator raised the threat alert to its highest level around Utrecht, a city of nearly 350,000 people. Pieter-Jaap Aalbersberg said the "threat level has gone to 5, exclusively for the Utrecht province." Dutch political parties halted campaigning ahead of provincial elections scheduled for Wednesday that will also determine the makeup of the Dutch parliament's upper house.